Elto Freight Pty. Ltd. | Welcome to smart logistics. We simplify your logistics requirements in a simple and cost effective manner. "hello - we are a freight forwarding company." ELTO Freight provides quality worldwide logistic services via road, sea and air. Because we understand that your business doesn’t stop. With a dedicated team in China and Hong Kong and aligned with an extensive International network of agents, ELTO Freight delivers a genuine worldwide and tailored logistic solution. We recognize that building your business is your number one priority and our commitment to this results in a streamlined business model, improved speed to market and lowered costs across the board. Logistics should be simple and cost effective. With extensive experience in the industry, we provide dedicated and skilled customer service led by a management team committed to industry best practice. ELTO Freight boasts strong market relationships which delivers a fast turnaround and the most competitive price for our customers. We liaise directly with suppliers to both drive down price and ensure our performance is to a high standard – we like that the responsibility sits with us. If something needs to be moved, we’ll move it. No matter what industry you’re in. No matter the origin or destination – We do what we do best so you concentrate on what you do best– we problem solve and handle all freight requirements to customs clearance, storage and domestic cartage to get the cargo to your door on time. ELTO Freight succeeds in being the customised service solution for every job we do – be it a container by sea or the time critical airfreight and road movements of the entertainment industry.  We offer online track and trace for complete transparency as well as both port to port and door to door services to/from any part of the world. 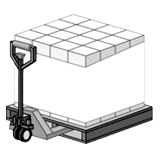 Need to freight only a few cartons or pallets? 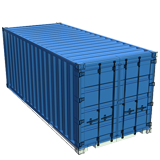 We can consolidate your cargo into mixed freight containers to/from anywhere in the world. 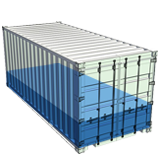 This covers 20′ or 40′ general purpose or high cube containers through to special equipment such as open tops, flat racks and also the handling of breakbulk cargo. If you require duty advice on a new product, are wanting to apply for a TCO (Tariff Concession Order) or need to claim a duty refund for re-exporting your cargo we can provide you with all the necessary information. Covering your freight from point to point.  Duty concessions and tariff advice as well as carnet services and EDN applications. As with sea freight, there are many varied airfreight options we utilise to move your cargo. We offer direct services for urgent cargo through to deferred options saving costs where time permits. We never assume and always ask the question. 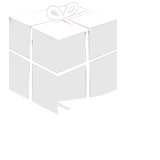 We understand that various cargo requires various handling methods. With an extensive network of trucking partners throughout the world, we have the solution to deliver your cargo in the most cost effective and efficient manner. We assist you in all aspects of Customs and Quarantine clearance for Vessels & Aircraft.